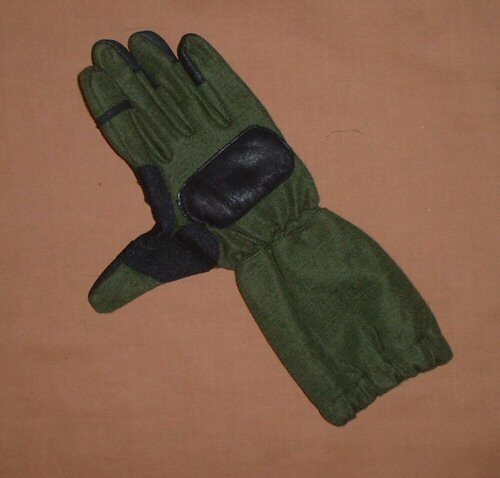 Latest armoured kevlar SOG type long gauntlet gloves. 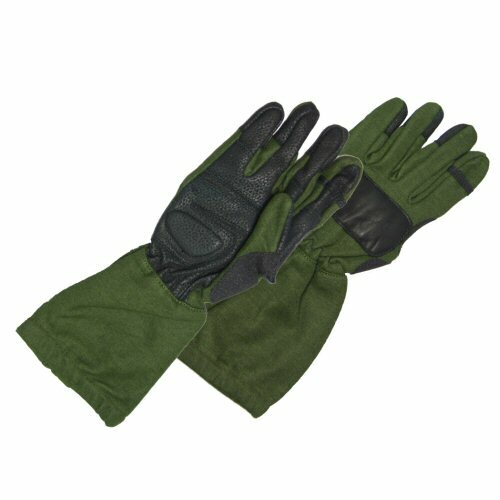 Popular with special operations groups of the US military, the SOG type long gloves are made of a flame resistant polyamid material. The palms are made of soft textured leather with excellent sensitivity. The palm is reinforced with a secondary layer of soft leather, cut and mapped according to the folds of the palm so as to reduce bunching in key areas. The heel of the palm is reinforced with layer of enclosed foam to protect against recoil shock from small arms use. The forefinger of each hand is reinforced with a leather band which will allow the tip to be cut away without unravelling the rest of the finger. This is particularly useful for forefinger control on sensitive or featherlight switches, triggers and controls. The thumb is constructed separately from the palm for maximum distension. The span between thumb and forefinger is covered with an additional layer of Schoeller (Switzerland) Keprotec which is a three layer laminate of Cordura, Kevlar and polyurethane. This gives this part of the hand excellent protection from cuts, abrasions and fire as well as offering enhanced grip capability. The knuckle of each glove provided with a knuckle pad consisting of a layer of foam enclosed in soft leather which offers the knuckle protection from light knocks and scrapes. The wrist is tighly elasticated to prevent riding and the bottom of the gauntlet is also elasticated for better retention on the forearm. 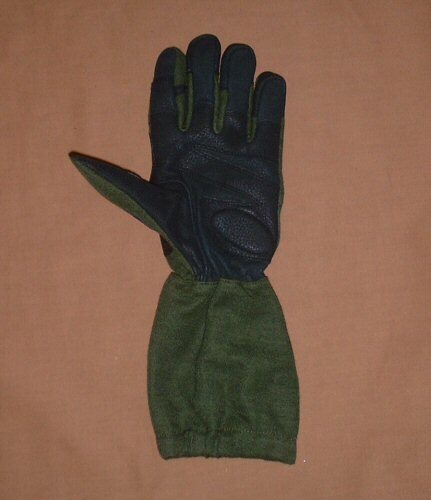 Easily the most popular glove with special operations, police firearms teams and security personnel in the market today. View of the palm of the glove. View of the padded knuckle and the kevlar around the lower thumb and fork of the thumb and palm.